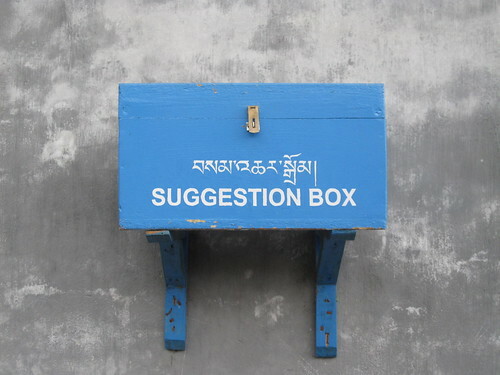 We will be adding our tips and suggestions for visiting Bhutan. If you have a particular question, please ask us! All tourist class hotels, guest houses and lodges are selected and approved by the government. There is no star categorization of hotels. Hotel decor may be elaborate but amenities are simple, modest and clean. Hotels in western Bhutan generally have better accommodation facilities than those in central and eastern Bhutan. Some of the more rural hotels or lodges have wood burning stoves, called bukhari, in the rooms for warmth. High-end luxury resorts do exist in Bhutan but the room rates are over and above the daily tourist tariff. Contact us for more info if you're interested in luxury accommodations. Bhutanese food is generally hearty and spicy. The national dish is ema datse which is chilies and cheese. Bhutanese will tell you that "chili is a vegetable, not a spice!" If you like spicy food, you will have your fill in Bhutan! 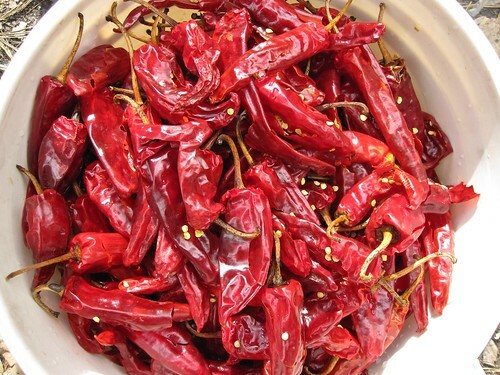 However, Bhutanese people understand that not everyone likes burning hot chili dishes three meals a day: restaurants and hotels serving overseas visitors all prepare milder dishes to appeal to all palates. Vegetarians should not have too much trouble in Bhutan as many dishes are vegetable-based. The currency used in Bhutan is the Ngultrum. Right now, $1 US is worth about 45 Ngultrum. Only paper money is in circulation with note denominations of 1, 5, 10, 50, 100, 500 and 1000. 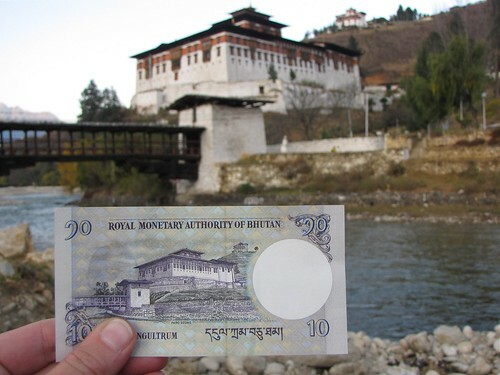 These notes depict iconic structures in Bhutan. - For bringing money in, cash is the way to go. You can change your cash into Ngultrum at the airport exchange counter in the same room where you'll pick up your luggage. Do it then to save a trip to a bank later. Bills in major currencies will be accepted (US, Euros, Pounds Sterling, Canadian dollars, Australian dollars, Hong Kong dollars, Singapore dollars and Rupees). You will get a better rate for larger bills (i.e. $50 and $100 notes). Ask to get some smaller bills in your bundle from the exchange counter. - Despite contradictory information being given out by the banks themselves, only American dollar travelers' cheques can be cashed at major bank branches without a huge amount of commotion and trouble. - There is an ATM in Thimphu which takes MasterCard. There have been some technical problems, though, so if the machine is out of order on the one day you're in Thimphu, you're out of luck. Don't rely on using your MasterCard to withdraw cash. - Some of the bigger souvenir stores take Visa cards. Again, don't assume that you'll be able to make all purchases with credit cards. Also, you'll probably get a better price if you pay with Ngultrum. - If disaster strikes, or if you see a work of art you cannot live without, you could make use of the Western Union money transfer service through Bhutan Post. - If you've arrived via India, you'll be fine using Rupee notes for everything. The Rupee and Ngultrum are at par. Note that 500 and 1000 Rupee notes are not accepted. - Nobody actually says 'Ngultrum' or writes it on a price tag or a menu. People say 'Nu' instead. In fact, when you ask the price of things, you will most often be told the value in Rupees even though you pay in Ngultrum. - Try to keep a few lower denomination notes aside (10s, 50s, 100s) to leave as offerings at the altar and donation box whenever you visit a shrine or a temple. They can really use your contributions. - Keep in mind that your trip to Bhutan will be paid for before you even arrive. You will only need spending money for souvenirs and shopping, alcohol and donations or tips if you desire. If you want to add a luxury experience to your trip (dinner at the Taj Tashi, for example), you can expect to use a credit card. There are several options for internet access in Thimphu. Some hotels and cafes provide free Wifi internet and there are numerous internet cafes around town, too. Once you proceed further to central and eastern Bhutan, you will have much more limited internet access. International telephone service is available in all the towns. Ask your guide for more info if you need to make a call. Many visitors enjoy their time in Bhutan as an opportunity to unplug and escape from the constant distraction of e-mail and phones. The climate varies widely depending upon elevation and latitude. The southern plains experience a humid tropical climate; the central valleys have cool winters and hot summers while the northern Himalayan region have severe winters and cool summers. The climate in the northern Himalayan regions and parts of central Bhutan are harsh, with monsoon rains in summer and heavy snowfalls in winter, which frequently block the passes leading into central valleys. Winter in Bhutan is from mid-November until mid-March and summer from June until August with monsoon rains. Spring and Autumn are the most popular season for tourists not only because of the pleasant weather but because many of the festivals are held at this time of year. Spring is also best for birdwatching and wildflower viewing. Trekking is best in Autumn when the skies are clearest. Summer, from June to August, brings the monsoon rainfall but that's no reason to stay away from Bhutan if you can only travel during these months. Lonely Planet explains it well: "Summer is still a great time to visit Paro, Thimphu and other parts of western Bhutan. In the mellow monsoon light, the vivid green rice paddies contrast with the dark hills and the stark white dzongs to produce picture-perfect vistas. And the markets are bursting with fresh fruits and vegetables." Cotton clothes are sufficient from May until September but warm clothes are very much necessary from November to the end of April. Visitors are advised to carry clothes consisting of layers (or preferably a woollen sweater and jacket) throughout the season, as weather may change at any time. You will want to be comfortable for walking or for long drives but do keep in mind that Bhutanese dress conservatively. More formal dress is also highly recommended for visitors attending festivals. A long skirt and a sleeved blouse would be suitable for women, for men, dress pants and a button-down shirt. 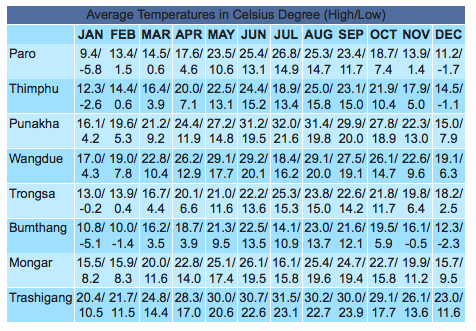 Visitors often find that hotel rooms and dining areas can be quite cold from September to April. 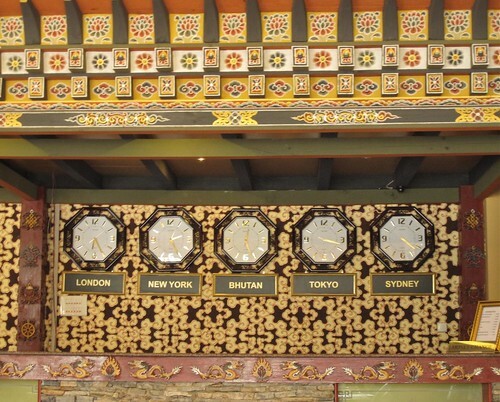 Bhutanese buildings are not centrally heated. We recommend bringing very warm pyjamas and socks. A shawl or wrap scarf may be handy for cold restaurants or dining rooms. Other recommended personal items are: comfortable shoes suitable for uphill walks, sunglasses, sun hats, mountain boots for trekkers, down jacket (required in winter only), gloves, sun block cream, lip balm, flashlight, insect repellant, ear plugs (to block the barking of stray dogs), a pair of casual shoes, flip-flop sandals for hotel bathrooms, an umbrella, antiseptic cream and anti-diarrhea medicine. There are plenty of pharmacies in Bhutan but it's best to bring your own remedies in case you are in an isolated spot when you need them most. If you are prone to car sickness, consider bringing anti-nausea medicine (e.g. Gravol) as Bhutan's roads are very twisty. Some visitors bring altitude sickness prescriptions but this is a personal choice - speak to your doctor about it. It is advisable to have tetanus, typhoid and hepatitis A inoculations before visiting Bhutan. If you plan to hike to the Tiger's Nest monastery during your trip, we suggest doing a little training beforehand, such as using the StairClimber at the gym or taking some challenging uphill walks. Are you visiting Bhutan and need to know about something we haven't mentioned here? Leave a comment and we will try our best to answer your question! Copyright Golden Sky Adventure, 2012. Powered by Blogger.